From modern Chinese in Pasadena to a modern mezcal bar in Venice,there are a lot of new restaurants to check out this month. Here are our picks for February’s buzziest new restaurants. With a tight menu of pork-filled xiao long bao and wok-cooked vegetables, this modern dumpling house from restaurateur James Kim ups the ante for Chinese food in downtown Pasadena. Fried rice flecked with bits of Dungeness crab is simple and comforting; pan-fried pot stickers, which sport a crisp golden latticework along their edges, are worth the 30-minute wait noted on the menu. 146 S. Lake Ave., Pasadena. Hidden on the uppermost level of the gigantic Hollywood & Highland shopping mall, Japan House’s new kaiseki concept is an idyllic (if unusually located) respite from the touristy hubbub below. 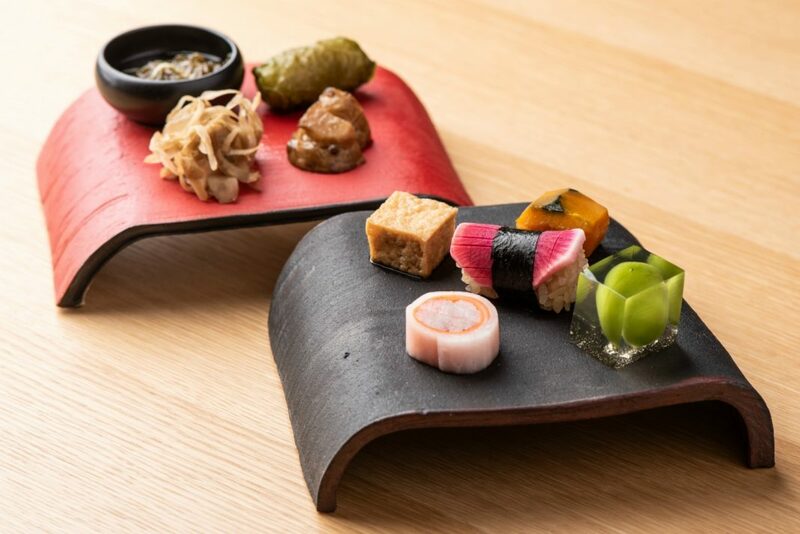 Dishes like grilled Wagyu and delicate baby barracuda sushi are meant to showcase premium Japanese ingredients—the restaurant was conceived by the country’s Ministry of Foreign Affairs, after all—but the view toward the DTLA skyline is as majestic as the sea urchin flown in from Hokkaido. 6801 Hollywood Blvd.,Hollywood. Cauliflower queso dip and taquitos filled with Okinawan sweet potatoes are among the produce-powered at this modern mezcal and tequila bar situated on a crowded stretch of Rose Avenue. Chef-y riffs like “Mexican furikake” on tacos or nixtamalized celeriac under fish don’t always deliver on their ambition, but that’s less true for the cocktails. Try the tequila with pomegranate-watermelon shrub. 533 Rose Ave., Venice. Previous articleWhy Is L.A.’s Air Quality So Bad in the Winter?